20% Theatre Company originally gets its name from the results of a 2002 study by the NY Council on the Arts, showing alarming statistics that only 20% of professional theatre artists at that time were women. Although women were submitting more than half of the works available to artistic directors, only 16% of produced plays were by women, and 17% had female directors. 20% Theatre was formed in January 2006 to change all of this, and has taken this gender parity issue a step further by doing everything in our power to also produce work by and employ & include transgender and non-binary artists in everything we do. Almost two decades later, though many arts organizations are making commitments to producing more work by and hiring more female and trans artists, it is still not enough. We are devoted to providing Twin Cities and surrounding audiences with contemporary, ground-breaking, queer theatre. We have produced dozens of productions, including many world and regional-premieres, sold-out shows, and work that has toured nationally. 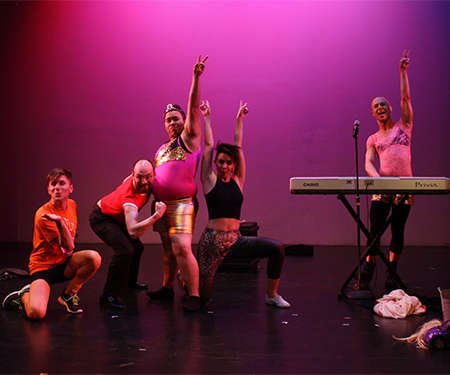 We have provided artistic opportunities to hundreds of LGBTQIA+ artists and allies. We produce plays that others won't. We employ emerging artists when no one else will give them the experience they need to advance in their career. We give voice to underrepresented artists. We are a theatre for social change.